Antonio Conte won the Italian Serie A three seasons in a row with Juventus. He has now brought that same winning mentality to Chelsea after making one small change early in the season that went on to help them win the English Premier League Championship. 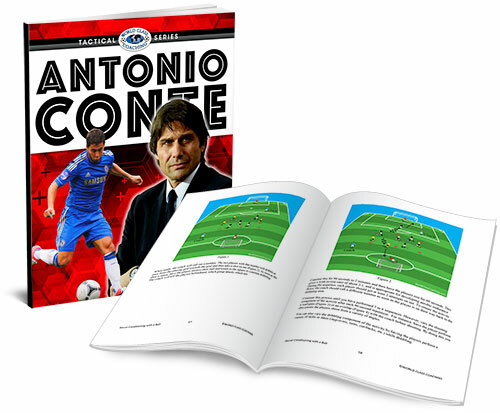 Discover what that change was in Tactical Series - Antonio Conte. If you want to progress as a coach, you have to learn from the best. Antonio Conte is already a legend in Italy after winning triple back to back trophies and looks set to replicate that after he won the English Premier League Championship with Chelsea. Discover the secrets to his formation’s success and how he has built a team that is being compared to the elite Barcelona team of the 90s for their style, skill and game winning success.